Limerick man (79) who died was wanted for dissident republican plot Sean O’Neill, who was buried with guard of honour, had NI arrest warrent out for him. O’Neill was one of the oldest Republican prisoners in Maghaberry Prison. A 79-year-old man buried in Limerick with a Republican guard of honour was facing charges of being involved in a dissident plot to target judges and members of the Police Service of Northern Ireland, the NI authorities have said. The funeral of Sean O’Neill, Quinn’s Cottages, Rosbrien, Limerick, who died last Sunday in St Camillus’ Hospital, Limerick after a long illness, was heavily policed by gardaí. 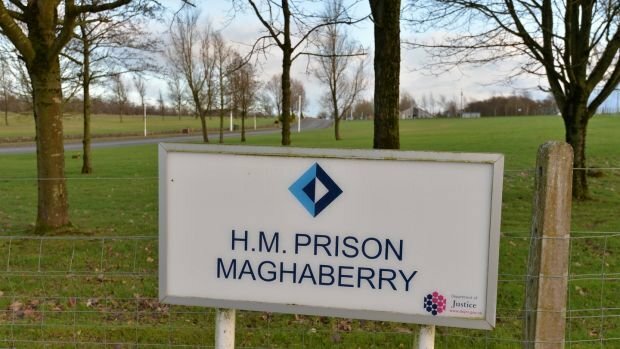 The NI Courts Services said there was a live warrant out for the arrest of Mr O’Neill, who had previously been held on remand in Maghaberry for an alleged breach of his bail terms for “failing to surrender to custody as required”. O’Neill was arrested during a raid in November 2014 on a house in Newry, Co Down, which had been bugged by MI5. Eleven men were arrested. Four were released without charge. Police told Newry Magistrates Court that “somewhere close to 70 hours” of material gathered in the property in Ardcarn Park over a three-month period included a series of meetings involving “leading key figures of a proscribed organisation”. Police alleged that the men were involved in weapons training; funding terrorist activities; plans to commit acts of terrorism; and plans to procure firearms and ammunitions. They also allegedly discussed plans to target judges and police. O’Neill was one of the oldest Republican prisoners in Maghaberry Prison, where he had been held on remand prior to taking up bail on September 28th, 2016. An arrest warrant was issued on January 10th this year after O’Neill “failed to surrender to custody as required”. In May 2015, O’Neill complained that he had not been given bail in a posting on the Irish Republican Prisoners Dependants Fund Facebook account, in which he described himself as a “Republican POW”. O’Neill faced charges of directing terrorism; membership of a proscribed organisation; conspiracy to possess explosives with intent to endanger life; conspiracy to possess firearms with intent to endanger life; and preparing for acts of terrorism. Six men, wearing traditional republican attire, flanked O’Neill’s coffin as it was brought from Our Lady of Lourdes Church, Childers Road, to his final resting place, Mount Saint Lawrence (Old) Cemetery. With many thanks to: The Irish Times for the origional story.